The renewable energy industry in the country has recorded an incredible growth in the last few years, evidenced by the availability of affordable prices of solar panels in the Philippines. There has also been an increase in the number of solar farms in the country. Did you know that Philippines can receive an average of 5.1 KWh per square meter per day? Because the country lies near the equator, solar energy resources in the Philippines are significantly large. With the given high amount of sunlight, utilizing solar energy would not be difficult for both public and private purposes. Many Filipinos may not realize it but the country already has several milestones with regards to the use of solar energy. 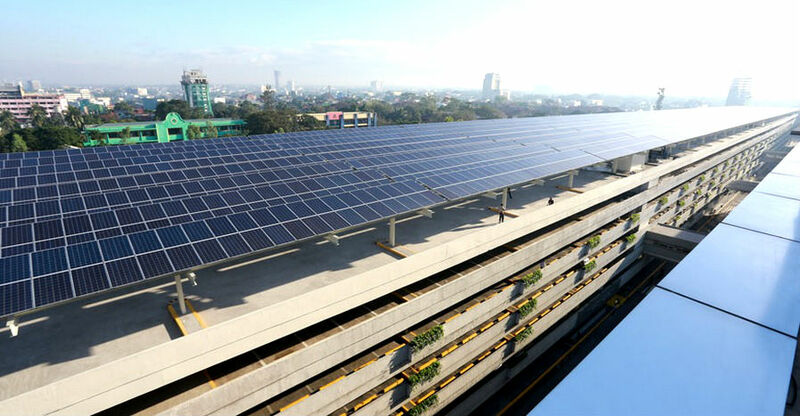 In 2014, SM North Edsa (Quezon City) became the world’s largest solar-powered mall. This gigantic mall has 5,760 solar panels and 60 inverters outfitted on its parking building, enough power to energize 1000 households. The 1.5-MW plant’s capacity is expected to operate for the next 25 years and predictable to offset an approximated 40,000 tons of carbon dioxide emission, which is about equivalent to planting 200,000 trees. Manuel L. Quezon University (Quiapo, Manila) also begun using solar power by installing 320 solar panels on its rooftop. The solar panels can produce about 96 kilowatts of electricity. The solar project can lower the school’s electricity consumption by 20% for its continuous operation. Moreover, MLQU is the Manila’s first solar-powered university. Currently, Robinsons Palawan runs its elevators, escalators, and light fixtures with the 4,710 solar panels installed on its rooftop. The solar panels can cover about 20% of the mall’s electricity consumption. Apart from its Palawan branch, Robinsons will also set up solar panels on three of its branches in Visayas. The Calatagan Solar Farm has been starting to generate power last March 2016. The solar farm is a 63.3 MW solar power plant located in Calatagan, Batangas. It has 200,000 panels and has a 160 hectares (500 acres) land area. Instead of being used for growing crops such as corn or rice, the land was converted to a large solar farm to generate enough energy to provide power to the whole western Batangas. With continuous operation (over three decades), the solar farm is expected to offset beyond 1 million tons of carbon dioxide emission. This is equivalent to planting over 5 million trees! Calatagan Solar Farm is considered to be the largest solar facility in the country to date. On March 2016, 3 more solar power plants have begun to be operational. These are the 135-MW solar power plant in Negros Occidental, 50-MW solar project in Tarlac, and 29-MW solar project in Davao. This will add 214 MW to the country’s electrical supply. Solar energy and other renewable energy projects have been around for many years. Fortunately, many households and establishments are embracing the green revolution by using various renewable resources, such as solar energy.